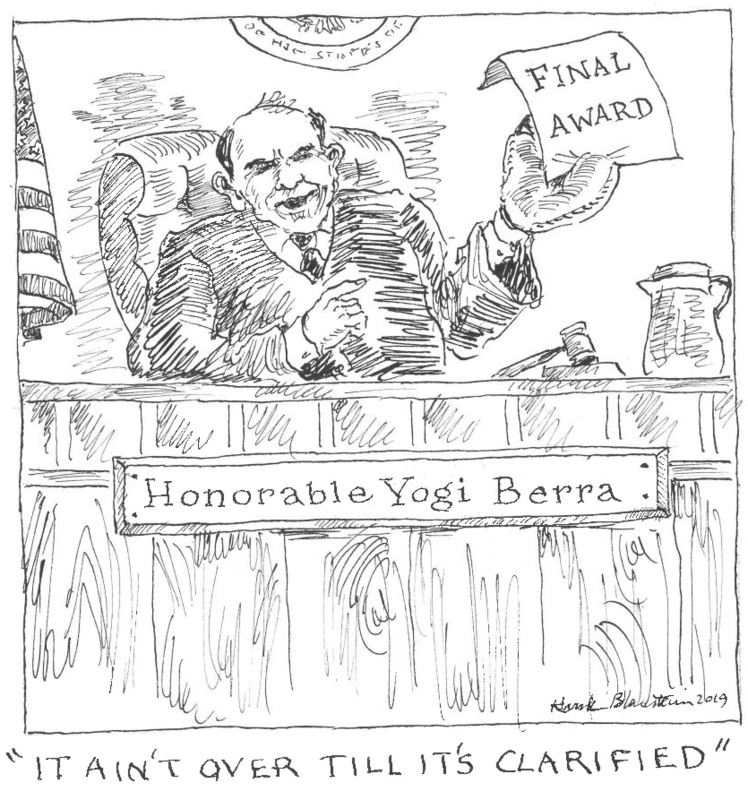 If final award is ambiguous, arbitrators may clarify it. The assault and battery exclusion does not bar coverage where diocese did not actually commit or direct assault. Arbitrators’ subpoenas are enforceable if they seek evidence and testimony rather than mere pre-hearing discovery. Second Circuit joins other courts in recognizing an exception to functus officio where the award is ambiguous … If final award is ambiguous, arbitrators may clarify it. Gen. Re Life Corp. v. Lincoln Nat’l Life Ins. Co., 909 F.3d 544 (2d Cir. 2018). The functus officio doctrine provides that, absent agreement of the parties, once the arbitrators have issued a final award, they no longer have the authority to modify it. But what if a panel’s award is ambiguous, and the parties require further guidance? The Second Circuit has now joined the Third, Fifth, Sixth, Seventh, and Ninth Circuits in recognizing an exception to functus officio where the arbitrators are asked to clarify an ambiguity in the award. The underlying dispute concerned a life reinsurance treaty that permitted the reinsurer to raise premiums based on a change in anticipated mortality. In the event of a premium increase, the treaty allowed the cedent to recapture the business and cancel the reinsurance. The parties, however, disagreed as to the meaning of the award’s recapture provision. The reinsurer argued that it could keep all premiums paid before the recapture date – including unearned premiums – but was not required to pay claims after that date. The cedent contended that the award required the reinsurer to refund premiums that were unearned as of the recapture date. The cedent asked the arbitration panel to resolve this dispute over its award. The reinsurer objected, arguing that the panel had no authority to modify the award. Rejecting this objection, that panel issued a clarification stating that the reinsurer was entitled to keep the unearned premium, but would also be required to pay the associated claims. The reinsurer petitioned for confirmation of the original award, arguing that functus officio barred the panel from issuing the clarification. Ruling for the cedent, the Second Circuit upheld confirmation of the clarified award. The court joined five other circuits in recognizing an “ambiguity” exception to functus officio. The exception applies where: (1) the initial award is ambiguous; (2) the subsequent award does not substantively modify the initial award; and (3) the subsequent award comports with the parties’ intent as set forth in the governing agreement. The Second Circuit concluded that all three conditions had been met. Read the court’s full decision here. Second Circuit affirms coverage in priest sexual abuse case … The assault and battery exclusion does not bar coverage where diocese did not actually commit or direct assault. Hartford Roman Catholic Diocesan Corp. v. Interstate Fire & Cas. Co., 905 F.3d 84 (2d Cir. 2018). The Hartford Archdiocese sought coverage after its excess insurer refused to indemnify it for sexual abuse claims involving the diocese’s priests. After a bench trial, the district court found that the diocese was entitled to coverage. On appeal, the insurer argued first that the claims were barred by the policy’s assault and battery exclusion. Under the exclusion, the coverage did not apply “to any Assured for assault and battery committed by or at the direction of such Assured.” Rejecting the insurer’s argument, the Second Circuit held that the exclusion barred coverage only for an Assured that actually committed or directed the assault. Thus, even if the priests could be considered “assureds,” the exclusion did not bar coverage for the Archdiocese. Next, the insurer argued that, with respect to one of the claims, there had not been an “occurrence” under the policy. The policy defined an occurrence as “[a]n accident or a happening or event … which unexpectedly and unintentionally results in personal injury….” The insurer contended that, because the Archdiocese was aware of one priest’s proclivities, it could not meet this condition to coverage. The Court disagreed. Notably, the court ruled that whether an injury is expected or intended must be determined under a subjective standard. Advocating an objective standard, the insurer had argued there was no occurrence because the diocese should have known that the priest was likely to commit further assaults. But the Court found that the diocese’s reliance on a physician’s contrary opinion was dispositive. Based on the doctor’s opinion, the diocese did not subjectively expect the priest to commit more abuse. Accordingly, the Court concluded that there was an occurrence, and therefore coverage. SNDY enforces arbitrators’ subpoenas of non-party documents and testimony. … Arbitrators’ subpoenas are enforceable if they seek evidence and testimony rather than mere pre-hearing discovery. Washington Nat’l Life Ins. Co. v. Obex Grp. LLC, No. 18 CV 9693 (VM), 2019 WL 266681 (S.D.N.Y. Jan. 18, 2019). In a reinsurance arbitration, the cedent sought documents from two non-parties, the reinsurer’s broker and its principal (the “respondents”). After the respondents produced documents, the cedent discovered that the production was incomplete. Upon the cedent’s application, the panel issued subpoenas ordering the respondents to appear at a hearing and bring additional documents. When the respondents failed to comply, the cedent petitioned the court to compel compliance, and the non-parties cross-moved to quash. In granting the petition, the Court followed a line of cases holding that FAA § 7 permits a court within the district where the panel is sitting to enforce an arbitrator’s “summons” issued to a non-party, as long as it seeks the presentation of evidence to the arbitrators rather than pre-hearing discovery. Whether a subpoena seeks pre-hearing discovery is determined under a three-part test: (1) whether the witness was ordered to appear for a deposition held outside the arbitrators’ presence; (2) whether the arbitrators would hear directly from the witness and rule on evidentiary issues; and (3) whether the testimony would become part of the arbitration record. Applying these factors, the court enforced the subpoenas because: (1) the respondents were ordered to appear at a hearing before the arbitrators; (2) the arbitrators were prepared to rule on any evidentiary issues; and (3) a court reporter was ready to record the proceedings for the arbitration record. This blog post is a service to our clients and friends. It is designed only to give general information on the developments actually covered. It is not intended to be a comprehensive summary of recent developments in the law, treat exhaustively the subjects covered, provide legal advice, or render a legal opinion. December 2018 – The United States Court of Appeals for The Second Circuit ruled in favor of Chaffetz Lindsey’s client, Zurich American Insurance Company, affirming the dismissal of an Amended Complaint filed by Plaintiffs Keller Foundations, LLC, Keller Group PLC, and Hayward Baker, Inc. Plaintiffs in the case were two construction companies and their parent who alleged Zurich breached its duties to them under an insurance policy by paying a claim to another insured under that policy. While they argued that settling this claim might affect their coverage under the Policy, plaintiffs were actually unhappy with this claim payment because Zurich had billed and recovered a share of that claim from its reinsurer, which happened to be a wholly owned “captive” of the plaintiffs. By reason of their intercompany arrangements with their captive, plaintiffs themselves had to fund that reinsurance payment. The Second Circuit agreed with Chaffetz Lindsey’s argument that that plaintiffs failed to show: (i) how Zurich’s claim payment breached any obligation to plaintiffs under the contract; and (ii) that any damages arose from Zurich’s actions under the policy, rather than actions by the reinsurer under the separate Reinsurance Agreement. The Second Circuit also affirmed dismissal of Plaintifffs’ claims for breach of the duty of good faith and declaratory judgement. Cia Moss argued, and the Chaffetz Lindsey team included Peter Chaffetz, Karen Baswell (associate) and Oslen Grant (paralegal). The full summary order and judgment can be found here. Where pro rata allocation applies, the policyholder is responsible for uninsured periods – even if insurance was unavailable. Where excess policy requires exhaustion through “payment … by the insurers,” exhaustion cannot be shown if underlying carrier pays less than its limit. Missouri statute precluding arbitration of insurance disputes deprived federal court of jurisdiction over action governed by the New York Convention. The Second Circuit sets a higher bar to vacate an award based on the “evident partiality” of non-neutral arbitrators. New York Court of Appeals Rejects the “Unavailability Exception.” … Where pro rata allocation applies, the policyholder is responsible for uninsured periods – even if insurance was unavailable. Keyspan Gas East Corp. v. Munich Reinsurance America, Inc., 96 N.E.3d 209 (N.Y. 2018). One of the main distinctions between pro rata and “all sums” allocation of long-tail claims is that, under pro rata allocation, the policyholder is responsible for periods in which it did not purchase insurance. By contrast, under “all sums” allocation, any triggered policy is potentially responsible for the entire loss, regardless of whether the policyholder bought coverage in all triggered periods. In some states, however, courts have created an “unavailability exception” to pro rata allocation. Under the “unavailability exception,” the policyholder does not assume its pro rata share of the loss for years in which insurance for the risk – typically asbestos or environmental liability – was unavailable. Excess policy not triggered where settlement did not exhaust underlying policy limits. … Where excess policy requires exhaustion through “payment . . . by the insurers,” exhaustion cannot be shown if underlying carrier pays less than its limit. Cooper v. Certain Underwriters at Lloyd’s, London, 716 Fed.Appx. 735 (9th Cir. 2018). In Cooper, assignees of an excess policy sought coverage. The excess policy provided that it was triggered only if the underlying coverage had been exhausted “by reason of the payment … by the insurers of the Underlying Policies.” Prior litigation against the policyholder had been settled, with the insurer of an underlying $5 million policy paying $3.47 million, and an additional $1.65 million contribution from the policyholder. The issue was whether the payments by the underlying carrier and the policyholder – which together exceeded the underlying policy’s $5 million limit – were sufficient to trigger the excess policy. The trial court held that the excess policy was not triggered because “the $1.65 million that insureds [paid] was not made ‘by the insurers of the Underlying Policies.’” 2015 WL 1276511 (C.D. Ca. Sept. 30, 2015). The court also distinguished cases involving different excess policy language. The Ninth Circuit affirmed. Like the District Court, the Ninth Circuit found that “[t]he excess policy unambiguously requires exhaustion of underlying policy limits ‘by reason of the payment … by the insurers of the Underlying Policies.’” 716 Fed. Appx. 735, 736. This language, said the court, “forecloses the possibility of exhaustion through payment by parties other than the underlying insurers.” Thus, the policyholder’s payment could not serve to trigger the excess policy. Under the McCarran-Ferguson Act, state anti-arbitration law reverse preempts the FAA. … Missouri statute precluding arbitration of insurance disputes deprived federal court of jurisdiction over action governed by the New York Convention. Foresight Energy, LLC v. Certain London Market Insurance Companies, 2018 WL 1942222 (E.D. Mo. 2018). The McCarran-Ferguson Act, 15 U.S.C. § 1011-1015, was enacted to preserve the state system of insurance regulation. Its key provision states that: “No Act of Congress shall be construed to invalidate, impair or supersede any law enacted by any state for the purpose of regulating the business of insurance . . . unless such Act specifically relates to the business of insurance.” Under this language, state laws that regulate the business of insurance have been held to “reverse preempt” inconsistent federal laws – including the Federal Arbitration Act, 9 U.S.C. § 1 et seq. In Foresight, the court held that a Missouri law prohibiting arbitration of insurance disputes reverse preempted Chapter 2 of the FAA, which implements the Convention on the Recognition and Enforcement of Foreign Arbitral Awards (New York Convention). The issue arose when a policyholder, a mining company, commenced an insurance coverage action in Missouri state court. One insurer removed the case to federal court based on FAA § 205. Section 205 permits removal of an action to enforce an arbitration agreement governed by the Convention. 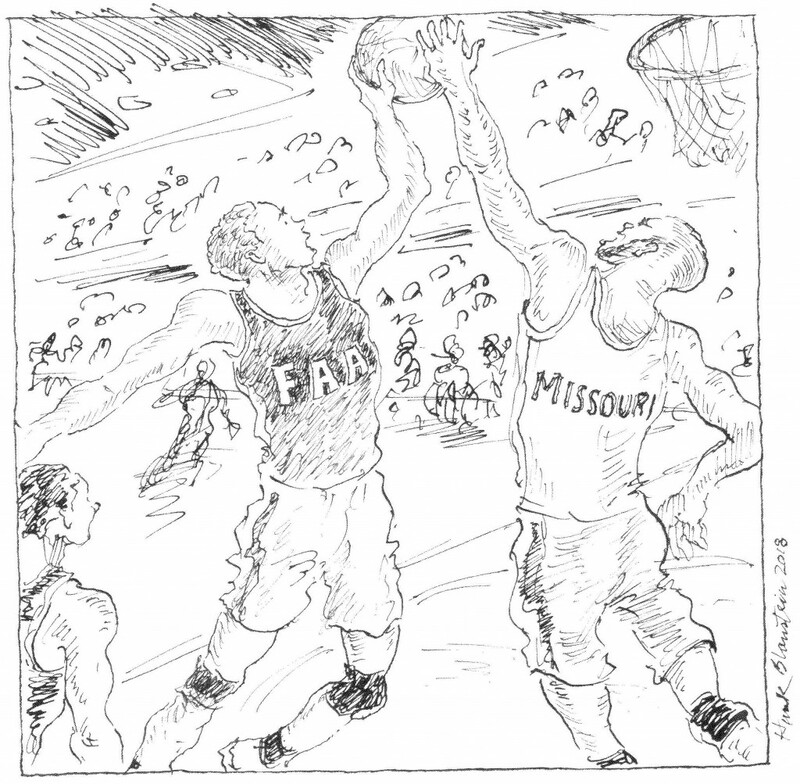 The policyholder, however, moved to remand the action to state court, arguing that under the McCarran-Ferguson Act, the Missouri anti-arbitration statute reverse preempted the FAA. The court agreed with the policyholder. The insurers, relying on Fifth Circuit precedent, had argued that, because the Convention is a treaty rather than an “Act of Congress,” it cannot be reverse-preempted under McCarran-Ferguson. The court, reyling on conflicting authority from the Second Circuit, rejected this logic and found that the relevant federal law was Chapter 2 of the FAA, not the Convention (which is not self-executing). The FAA, said the court, is subject to reverse preemption because it is an “Act of Congress” that does not specifically relate to the business of insurance. As the court explained, “Missouri’s anti-arbitration provision falls squarely within the realm of traditional state responsibility over insurance matters as recognized by Congress in enacting the McCarran-Ferguson Act.” Thus, because removal was based solely on Section 205 of the FAA, the court’s conclusion that the statute was reverse-preempted led it to remand the action to state court. 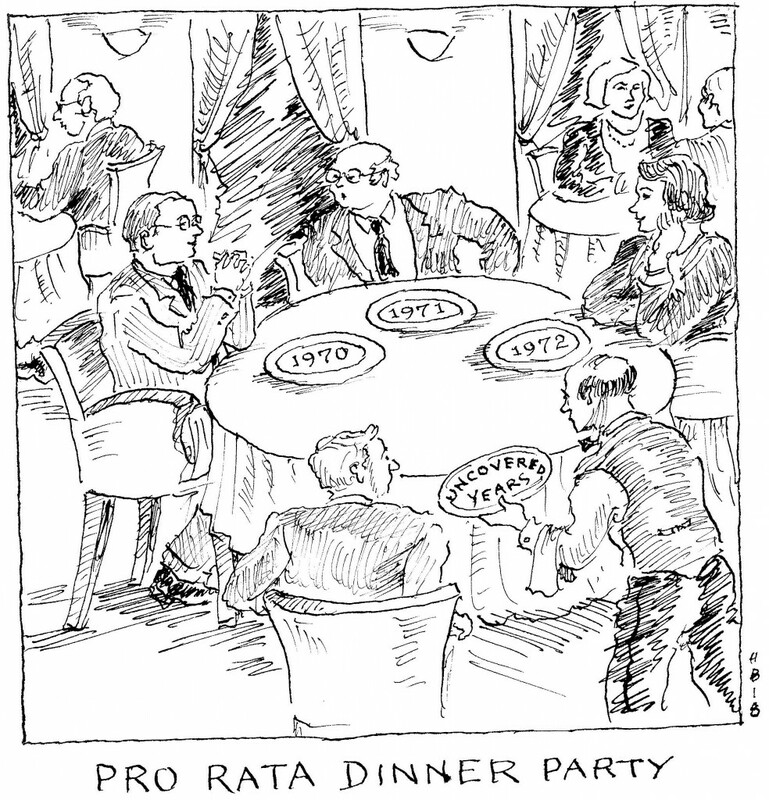 Party-appointed arbitrators held to less stringent standards of partiality. … The Second Circuit sets a higher bar to vacate an award based on the “evident partiality” of non-neutral arbitrators. Certain Underwriting Members of Lloyds of London v. Florida, Department of Financial Services, 892 F.3d 501 (2d Cir. 2018). 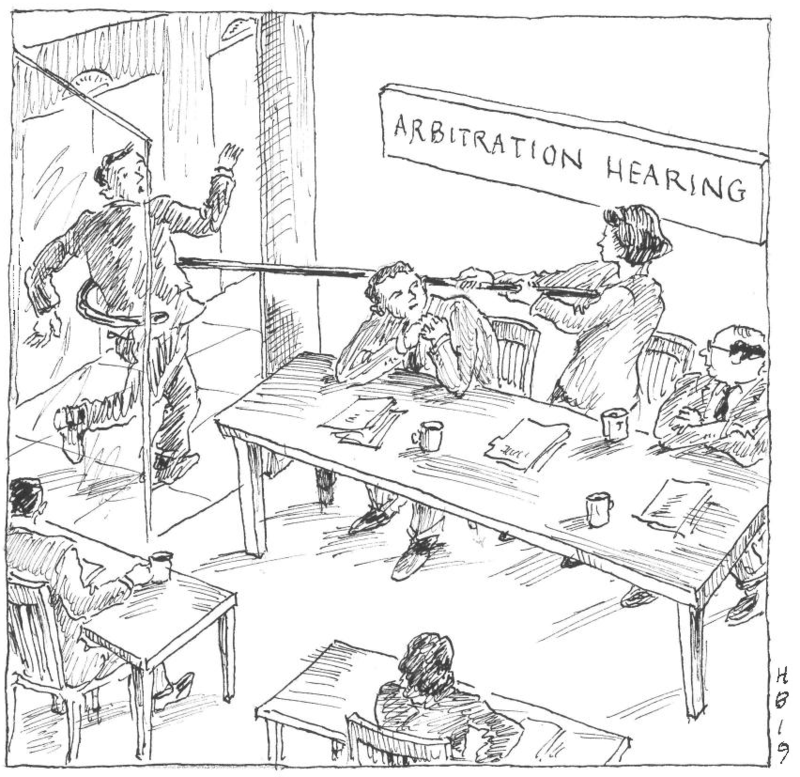 Under the Federal Arbitration Act, one of the grounds for vacating an arbitration award is the “evident partiality” of an arbitrator. But what happens when – as often happens in reinsurance arbitrations – the party-appointed arbitrators are expected to be pre-disposed? In the last issue, we reported on the District Court’s decision in the above-captioned case. There, the court vacated a reinsurance arbitration award based on the evident partiality of a party-appointed arbitrator. The court held that the arbitrator’s failure to disclose his connections with one of the parties met the standard for evident partiality. In reaching that conclusion, the court expressly declined to draw a distinction between neutral and non-neutral arbitrators. The Second Circuit emphasized that non-neutral party-appointed arbitrators “are expected to serve as de facto advocates.” The court noted that this point is particularly “salient in the reinsurance industry, where an arbitrator’s professional acuity is valued over stringent impartiality.” For such arbitrators, it makes little sense to apply the same standards that would govern a neutral arbitrator. Nevertheless, the court observed that “a party-appointed arbitrator is still subject to some baseline limits to partiality.” Although the court did not catalogue all such limits, it did note two: (1) a failure to disclose a relationship “is material if it violates the arbitration agreement;” and (2) “an undisclosed fact is material … if the party opposing the award can show that the party-appointed arbitrator’s partiality had a prejudicial effect on the award.” On the other hand, the fact that “a reasonable person (or court) could speculate or infer bias” will not suffice.